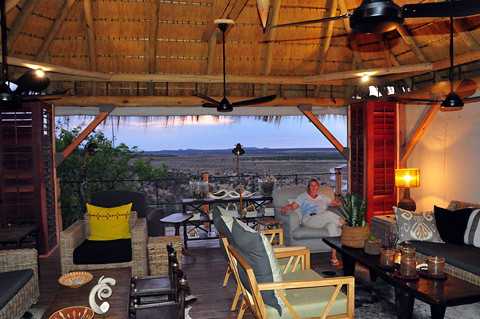 Dolomite Camp is the latest addition to Etosha and opened in June 2011. 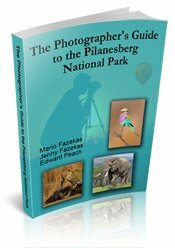 It is situated in the previously restricted far-western part of the park and is built on a dolomite outcrop providing marvelous views across the plains to the north and hills to the south including sunrise and sunset views over the surrounding savannah. 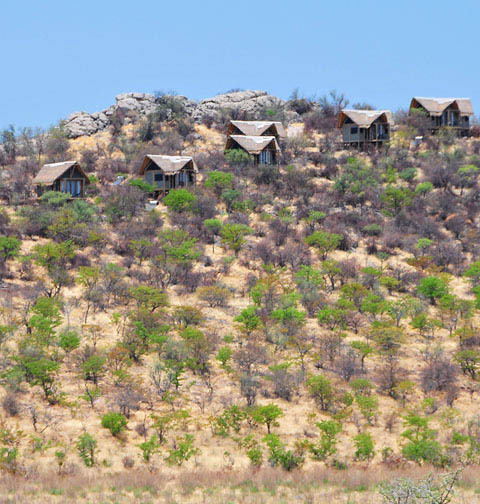 This special unfenced camp, the first ever on this side of Etosha National Park, has been developed in the most eco-friendly manner out of natural materials that blend in to the landscape. A pathway links the 20 Chalets to the main building and it has 2 restaurants, bar, 2 bomas, swimming pool, curio shop and lounge. 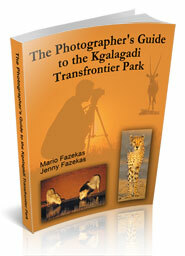 There are daily guided game drives to more than 10 waterholes surrounding the lodge or you can self drive. 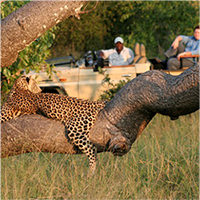 In addition there is the camp waterhole, Dolomietpunt, that has hundreds of animals coming to drink every day and night. 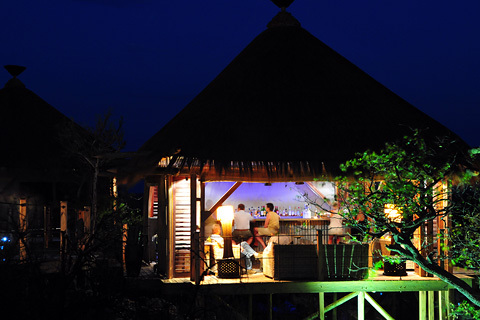 Chalet numbers 13 (deluxe chalet) and 14 (bush chalet) have good views of the camp waterhole. All the chalets have double beds and coffee / tea stations but the three deluxe chalets also have a plunge pool. 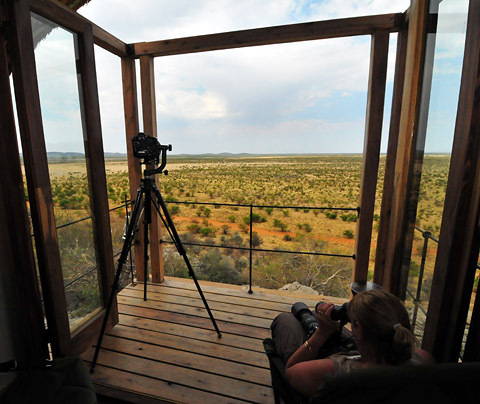 Guests who book at the Camp have automatic entrance to the previously restricted Western Etosha from both the Okaukuejo side as well as the western Galton Gate. We stayed at Dolomite camp for five days and we saw a pride of lions, many elephants, 5 black rhinos, 2 cheetah, herds of the rare Hartmann's mountain zebra, gemsbok, eland, kudu, black-faced impala, giraffe and an African wild cat! We heard the resident leopard a few times at night but never saw him - the closest we got to seeing him was his kill in a tree at a nearby waterhole. To find out more about the western part of Etosha please read our Western Etosha / Dolomite Camp trip report and you can read question number five of our interview with Daryl Balfour. 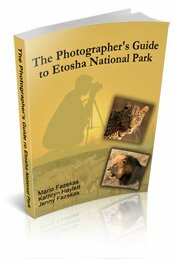 Daryl spent a year living and photographing in Etosha, including the restricted western part where Dolomite is situated. 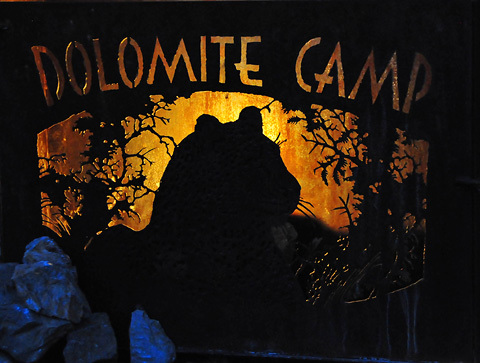 Have A Great Story About Dolomite Camp? Do you have a great story about your stay at Dolomite? Please share it!